Documentary film recording the 2014 edition of Collingbourne Ducis & Everleigh Village Show. Once a year, the people of the villages of Collingbourne Ducis and Everleigh work hard to produce a fun family day combining the traditions of the Church Fete and the Gardening Society’s Flower and Produce Show, with a new activity or event each year. A Grand Day Out in Collingbourne Ducis. 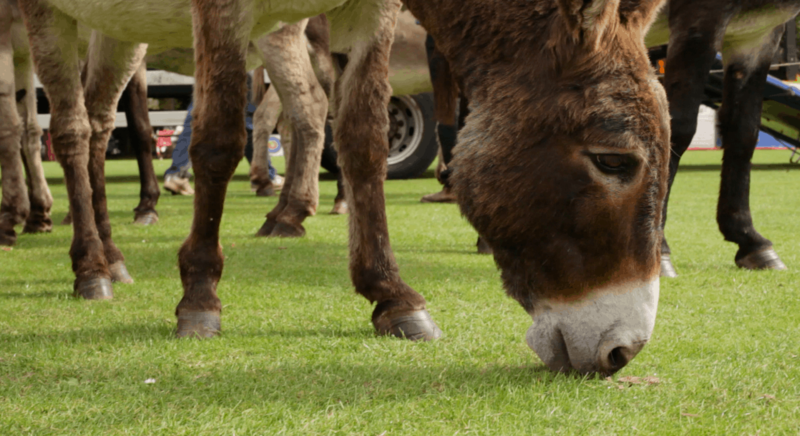 This film documents 2014’s donkeys, bouncy castle, award winning flowers, fruit, vegetables and crafts, military pipers, local brass band, children’s races, petting zoo, food and trade stands and a classic car and tractor display. Interviews with organisers and attendees provide the narrative that leads through the context of the show, a brief delve into its history and the hard work that was put into its organisation in 2014. A Grand Day Out is a collaboration with Paul Foxall, retired of the BBC, and the DEVS Show committee, who commissioned this film project in January 2014. The project originated with the role of Camera Operator, but as the ideas became more ambitious, Claire moved to become the Producer/Director, selecting students from Falmouth University to build the production team. After a quick turnaround with post-production, the film was completed for its screening in October 2014.